Tropical islands steeped in natural beauty, a welcoming 2,000-year-old culture and the friendliest people in the world. This is Fiji, a dream destination for divers. Below the surface, dense growths of alcyonarian soft corals create an undulating tapestry of life, in colors ranging from ice blue and purple to yellow, pink and red. These waters are home to more than 1,500 species of fish and more than 400 types of coral, populating an intriguing and diverse underwater environment that encompasses sun-dappled shallow reefs, precipitous walls, fish-laden pinnacles, shadowed grottoes, current-swept channels and some of the most famous dive sites on the planet. Though best known for soft corals and drift dives, Fiji offers a diverse range of diving experiences. Calm lagoon waters are filled with massive coral heads known as bommies, while serpentine fringing reefs stretch for miles. Near shore shallows may transition to slopes, or lead abruptly to walls. Soft corals dominate many sites, but there is also abundant hard coral cover. Currents can range from gentle to brisk, and it is at times of moving water that the corals display full colors. Water temperatures reach the mid 80s in summer and can drop into the lower 70s in winter. 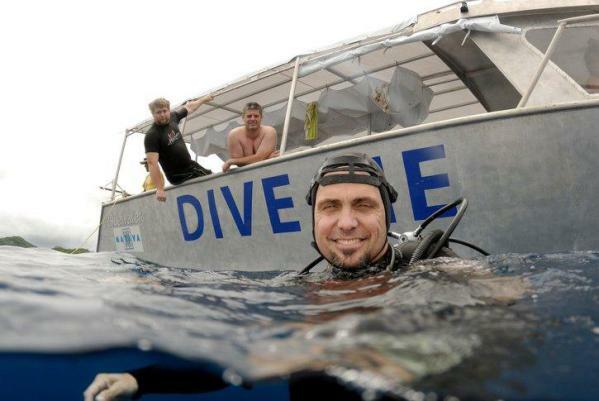 In many areas of Fiji, drift diving is the norm. This should not intimidate divers unfamiliar with the process, as all dives are led by knowledgeable dive masters, and boats follow to provide easy retrieval with no need for hard up-current swims. This practice should not be seen as restrictive, as these guides know the best strategies for working with currents, or ducking into sheltered edges, as is often done when diving pinnacles. The massive bommies of Bega Lagoon provide both easy explorations and spectacular backdrops for shark encounters. Vast slopes of brilliant soft corals dominate sites such as Rainbow Reef and the Great White Wall in the Somosomo Straits. The Great Astrolabe Reef mixes walls and pinnacles with manta cleaning stations and channels that draw sharks and tuna. Schooling reef sharks congregate at The Bleachers, and the brightly-colored coral's formations at the Black Forest are home to big trevally and groupers, plus small finds such as painted frogfish, scorpion leaf fish, nudibranchs and pipefish. In summer, a 3mm wetsuit is ideal for most divers. Cooler water temperatures from June to September may call for a 5mm suit, and possibly a light hood to ward off second-dive chills. For drift dives, it's advisable to carry a surface marker and reel. RAKIRAKI, VITI LEVU - STAY 7 PAY 5 NIGHTS, PAY 10 DIVES GET 12 DIVES SPECIAL includes 7 nights accommodations, 3 days of 2-tank boat dives, 2 days of 3-tank boat diving, unlimited shore diving, breakfast, lunch and dinner daily, beach BBQ, coffee, tea and rain water, traditional Meke performance and Fijian Lovo night, free use of kayaks and snorkeling equipment, scheduled resort activities, roundtrip airport transfers, hotel tax and service charges. Valid through 12/31/20. Book by 8/31/19. CORAL COAST, VITI LEVU, FIJI - DIVE SPECIAL includes 7 night Panoramic Ocean-View accommodations, 5 days of 3-tank boat dives including shark dive, welcome drink, breakfast, lunch and dinner daily including famous Lovo and Kava, Yanuca Island visit, 10% off on land based activities on non-dive days, roundtrip airport transfers, hotel tax, and service charges. Valid through 3/31/20. Book by 12/31/19. RAKIRAKI, VITI LEVU - TWO FREE NIGHTS includes 7 nights Garden View Bure accommodations, 5 days of 2-tank boat dives, breakfast, lunch and dinner daily, $100 FJD Resort Credit, complimentary use of kayaks and snorkel gear, resort activities, roundtrip airport transfers, hotel taxes and service charges. Valid 11/1/19-3/31/20. SAVUSAVU, VANUA LEVU, FIJI - 30% OFF includes 7 nights gardenview accommodations, 5 days of 2-tank boat dives, breakfast, lunch and dinner daily, beverages including alcohol, mini-bar including daily replenishment, free WiFi, use of motorized and non-motorized watersports, roundtrip airport transfers, hotel tax and service charges. Valid 11/1/18-4/30/19. CORAL COAST, VITI LEVU - ULTIMATE DIVE PACKAGE includes 7 night oceanview accommodations, 5 days of 3-tank boat dives including shark dive, welcome drink, breakfast, lunch and dinner daily including famous Lovo and Kava, Yanuca Island visit, 10% off on land based activities on non-dive days, roundtrip airport transfers, hotel tax and service charges. 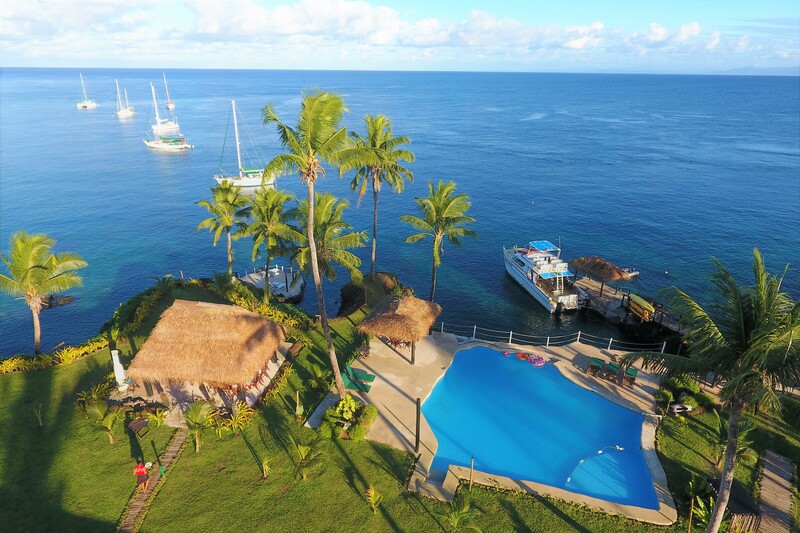 TAVEUNI ISLAND - 7-NIGHT DIVE PACKAGE includes 7 nights Paradise room accommodations, 5 days of unlimited dive package, daily shore dives 7 a.m.-5 p.m., free night dive, breakfast, lunch and dinner daily, roundtrip airport transfers, hotel tax and service charges. RAKIRAKI, VITI LEVU - DIVE PACKAGE includes 7 nights Ocean View Room accommodations, 10 boat dives, unlimited shore diving starting from arrival to last scheduled boat dive, breakfast, lunch and dinner daily, free use of kayaks, other complimentary activities, roundtrip Nadi airport transfers and taxes. BEQA ISLAND - DIVE PACKAGE includes 7 nights Villa accommodations, 5 days 2-tank boat dives including 2-tank Great Shark Encounter with Aqua Trek, unlimited shore diving during shop hours, welcome divers cocktail hour, breakfast, lunch and dinner daily, group lagoon cruise, Fijian cultural night, excursion to Fijian village, 15-minute foot massage, free WiFi, roundtrip land and water transfer and taxes. KADAVU ISLAND - DIVE PACKAGE includes 7 nights Oceanview Traditional Bure, daily 2-tank morning dives, all day access to shore diving at Critter Junction, breakfast, lunch and dinner daily including tea and coffee, complimentary Lovo Feast and Kava Ceremony, roundtrip airport transfers, hotel tax and service charges. LIVEABOARD - 7 NIGHT LIVE-ABOARD includes 7 nights accommodations, diving as scheduled, breakfast, lunch and dinner daily including wine with dinner, roundtrip airport transfers. These trips fill quickly so contact us for current availability and 10-night departure dates. 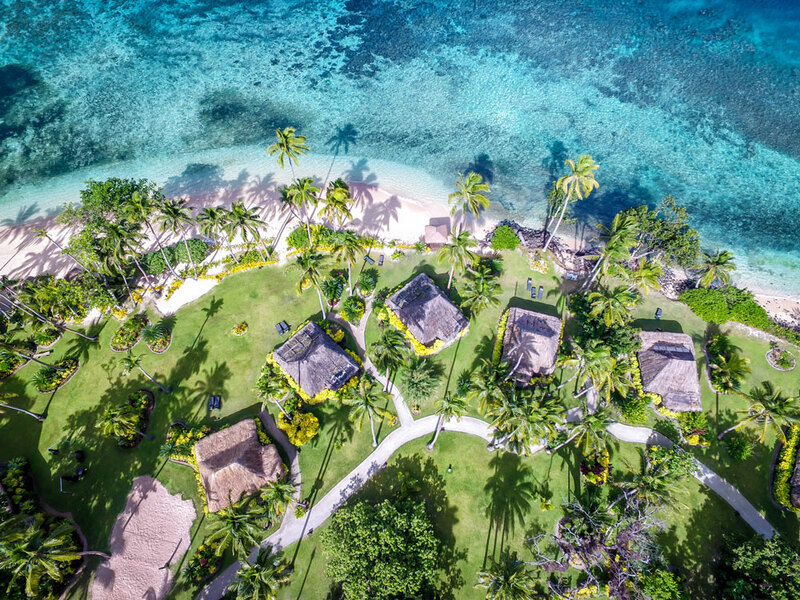 BEQA ISLAND - DIVE PACKAGE includes 7 nights deluxe Deluxe Fijian Villa accommodations, 5 days of 2-tank boat dives, unlimited shore diving, 3 gourmet meals a daily, kayaking, hiking, Fijan culture/entertainment, roundtrip airport transfers, and hotel tax. TAVEUNI ISLAND - Paradise Taveuni is an oceanfront property nestled amongst lush tropical gardens with Rainforest Mountain as a backdrop. With only 10 Fijian Bures you are assured personalized service. 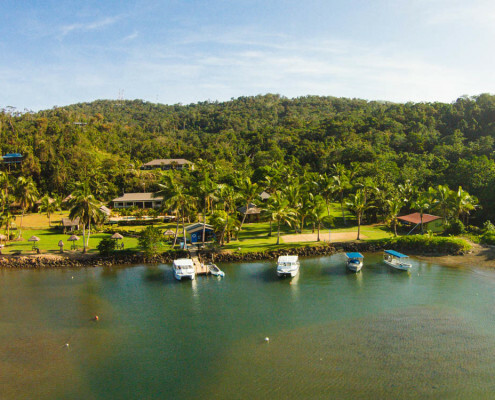 KADAVU ISLAND - Matava - Fiji's Premier Eco Adventure is located on the secluded and magnificent island of Kadavu and bordered by the Great Astrolabe Reef. Matava is a small and intimate getaway designed to blend with its natural environment with accommodations traditional to Fiji. Thatched Fijian bures are nestled in the rainforest, accommodate up to 22 guests and offer privacy, comfort and superb ocean views. CORAL COAST, VITI LEVU - Waidroka Bay Resort is a private boutique dive adventure resort in an ideal location with suberb amenities and staff. It has an onsite PADI dive center with a fleet of four dive boats offering adventure and discovery to famous Fijian sites. 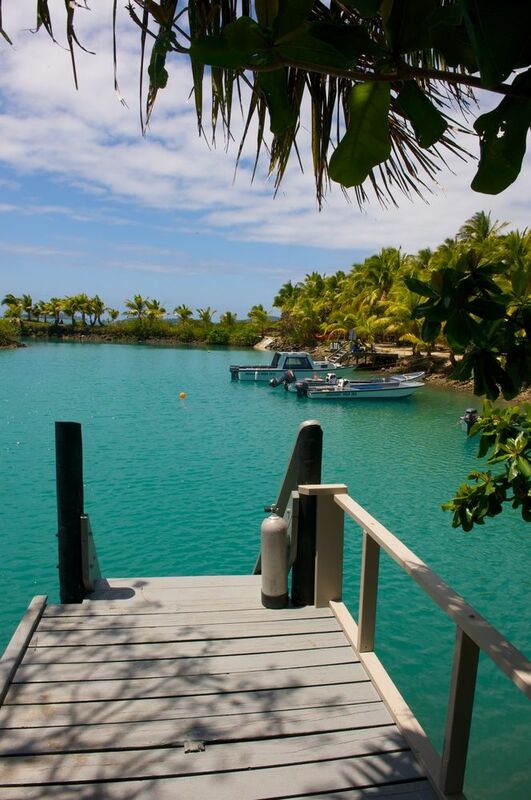 Jean-Michel Cousteau Resort is an award-winning luxurious island vacation destination in the South Pacific. Guests will experience a truly astounding resort experience — concentrating on rest and relaxation, authentic gastronomy and culture, and discovering the nature and the local environment. A assortment of unique interactive activities and inspiring experiences make this the perfect getaway for everyone with a sense of adventure and the yearning to experience one of the most beautiful places on the planet. BEQA ISLAND - Power down, unplug, kick off your shoes and let yourself go. No roads, no cars, no sounds but the water on the shore, the gentle tradewinds in your hair. Lalati Resort and Spa offers guests a choice from 16 individually designed villas, suites and cottages. Three are scattered about a lush hillside, and 13 are nestled amongst tropical gardens at ocean level. 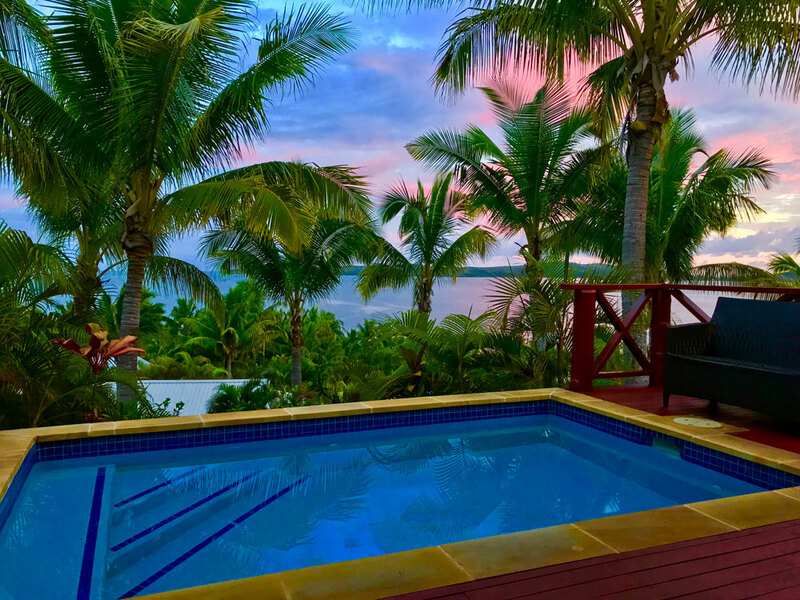 Distinctively Fijian in nature, with a relaxed tropical style, the private accommodations bring the outdoors in, capturing the beauty of Malumu Bay and Beqa Island. Each room offers total privacy in a rustic style of elegance. BEQA ISLAND - Dive into the exciting depths of Beqa lagoon with pristine reefs and famous shark encounters. Feel the warmth lounging poolside or unwind with a massage at the beachfront LALI Spa. 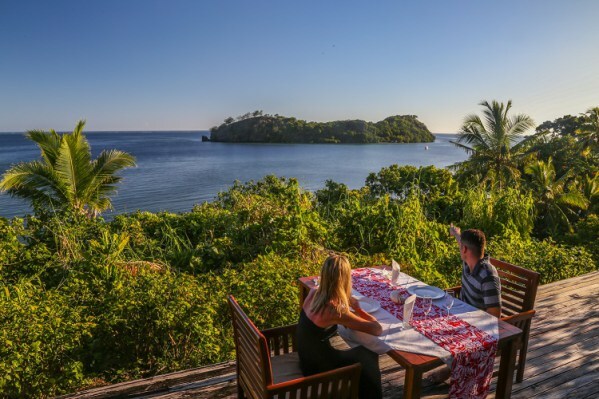 SAVUSAVU, VANUA LEVU - Namale puts typical all-inclusive dining in Fiji to rest in favor of sophisticated, elegant, five-star Fiji cuisine inspired by the rich flavors and traditions of the islands. Serving up daily rotating full service breakfasts, three-course lunches, and five-course dinners, our world-class culinary staff sources the freshest ingredients from our very own organic farm and local seafood markets. Enjoy fantastic meals in our two gorgeous open-air restaurants with ocean views, in private quarters, or at romantic locations throughout the resort, such as next to a waterfall or in a candlelit sea cave on the beach. All meals and snacks are included in your stay, as well as all beverages and alcohol, from fresh fruit juices and Fiji water to premium liquor, beer, wine, and spirits. Treat your tastebuds to the unique flavors of Fiji cuisine and the same high standard of quality Namale dedicates to every aspect of your stay. RAKIRAKI, VITI LEVU - Located on the north end of Viti Levu directly on the Bligh Water, Volivoli Beach Resort is a family owned and managed resort with a variety of stylish and comfortable accommodations. All rooms are air-conditioned and offer ocean views. 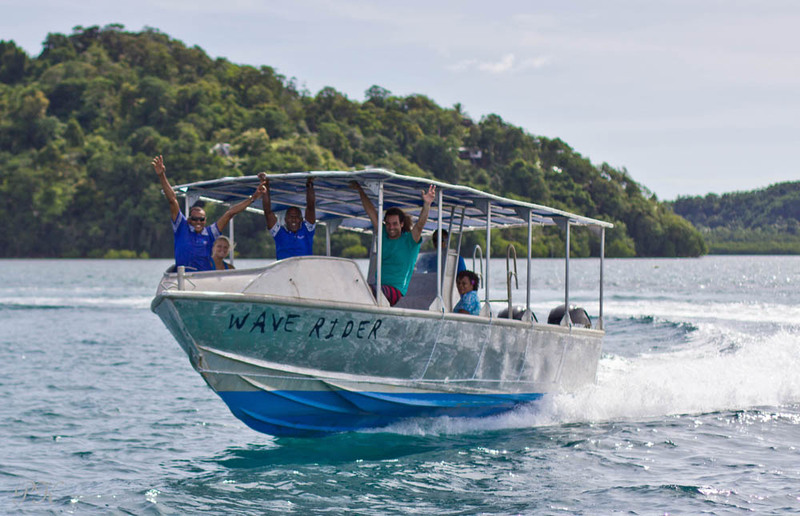 Ra Divers is located on site and offers daily dive excursions to sites in Bligh Water and Vatu-I-Ra passage, as well as kayaks and snorkeling gear. 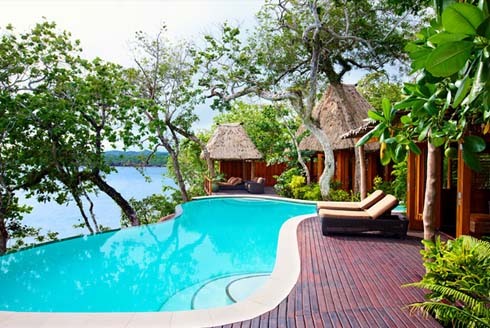 RAKIRAKI, VITI LEVU - "Wananavu” means “perfect” in Fijian and Wananavu Beach Resort certainly aspires to be just that. Legendary dive sites crammed with sensational soft corals, critters and swarms of tropical fish are the big attraction for divers to this very popular dive resort. SAVUSAVU, VANUA LEVU - This resort’s unspoiled northern location offers the genuine warmth and friendliness of the Fijian people. Koro Sun offers a truly native experience, dedicated to adventure, rejuvenation, and romance. 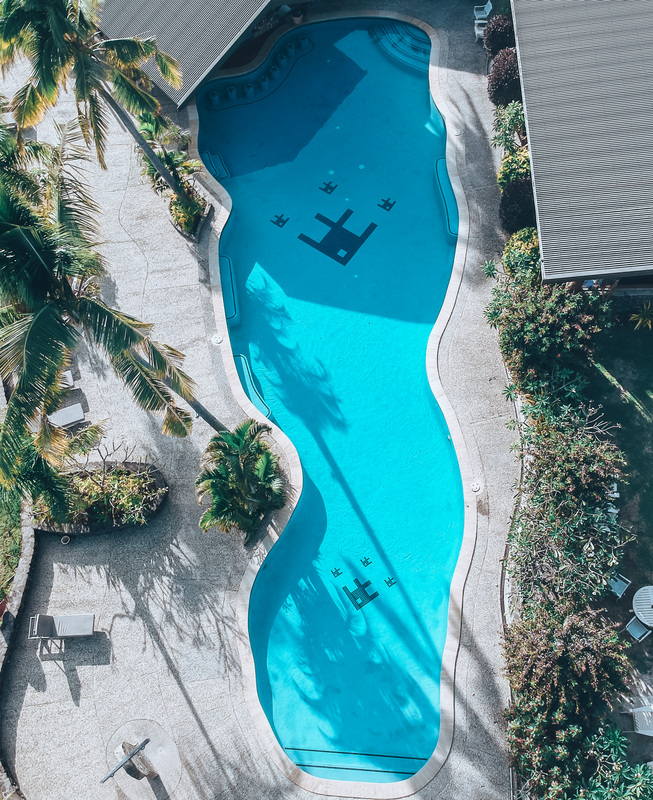 QAMEA ISLAND - This boutique property caters to a maximum of 34 adults with only seventeen luxuriously appointed and air-conditioned beachfront bures, nestled among swaying coconut palms and verdant tropical gardens. The entire resort fronts onto a private white sand beach over a kilometer in length and is known as the most spectacular in Fiji's northern island group. Since 1993, Nai'a has been the flagship liveaboard in the South Pacific. 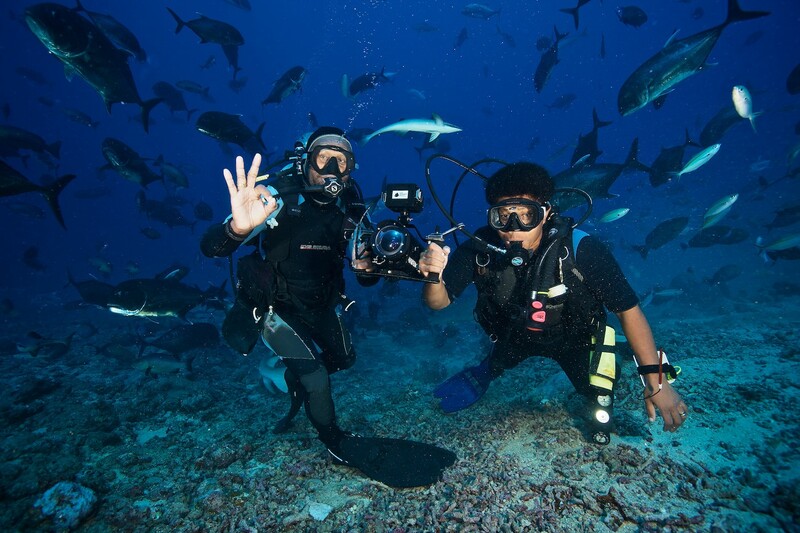 The professional crew is famous as one of the friendliest and most competent in the business, and the diving has attracted most of the world's leading underwater photographers and filmmakers. The Nai'a carries up to 18 passengers in 9 staterooms, catered to by 13 crew on 7 and 10-night itineraries to Fiji's top dive sites. These trips fill quickly so contact us for current availability or information on 10-night departures. Cartographers tally some 330 islands and more than a thousand miles of reef in the Fiji archipelago. There is enough here for a lifetime of diving, and it is estimated that less than 20 percent of the underwater terrain has been explored by divers. But there's no need to stage an expedition to the outer islands to find exceptional diving. International travelers arrive on the largest island, Viti Levu, which boasts a number of resorts at points around the island. On the north shore, the Rakiraki area gives access to the Bligh Waters, while Pacific Harbor is the gateway to Beqa Lagoon. In addition to the deservedly famous shark dives, the lagoon's 39-mile ring of coral shelters more than 100 dive sites in clear water. Signature features are the high-profile bommies dotted in soft corals. 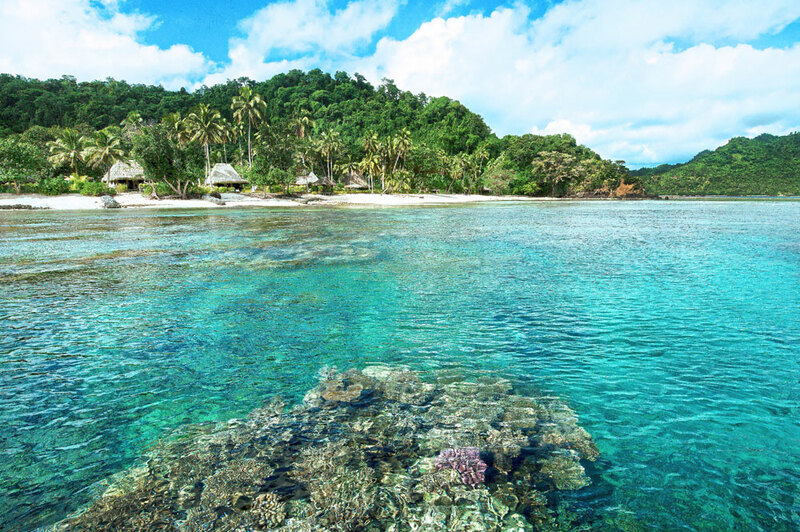 Resorts on the islands of Vanua Levu and Taveuni provide access to the Somosomo Straits. At famous sites such as Rainbow Reef divers can ride currents that typically envelop rather than overpower, and glide over reefs festooned with vivid displays of alcyonarian soft corals in hues from ice blue, yellow, red, pink to dark red and purple. The Great White Wall presents a patchwork tapestry of light-blue and white soft corals. The Strait attracts both reef dwellers and passing pelagics, and there's always a chance for sharks and rays at sites such as the Zoo. 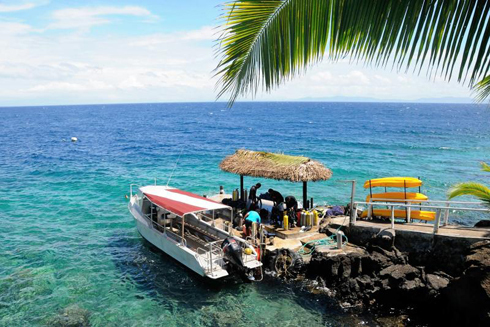 Taveuni-bound divers can also explore the less-visited northern sites near the adjacent islands of Qamea and Matagi. The liveaboard option gives access to an even greater range of venues. Fiji possesses a wide range of reef ecosystems to choose from. Collectively, they feature all four major classifications: shallow coral gardens, steep slopes, walls and bommies. The term bommie originates from the Australian aboriginal word "bombora," meaning reefs that do not break the surface. This type of reef structure is actually an immense mesa of coral that can be several hundred feet across, rising from depths as great as 100 feet, and stopping just short of the surface. Many of these structures develop caves, crevasses, and deep undercuts, and support a wide range of coral communities. Walls also feature prominently. Fiji's entire network of islands, as well as a large number of its’ reefs, are the remains of extinct volcanoes. Located in the heart of the Pacific Coral Belt, these dead caldrons have become the vital substrate for reef building corals. For thousands of years, the upward growth of these coral has kept pace with slow sinking of the islands, creating expansive tolls and ribbon-shaped coralline barriers. Quite a few of these walls begin their plunge into the abyss at depths of less than 10 feet. Fiji has been called the Soft Coral Capital of the World. Sustained by nutrient-rich flows, more than 200 varieties of soft coral perch on ledges, walls and pinnacles, with tentacles outstretched to capture passing meals. In areas of stronger currents, colonies cover every inch of underwater real estate, seeming to climbing atop one another to compete for passing morsels. In addition to the often dominating soft corals, Fiji also features reef systems which are almost completely governed by some 300 species of hard corals, including dense thickets of antler and table-top corals virtually overlapping each other in competition for space, seldom leaving room for anything else to grow. Given the richness of the landscape, it's not surprising that Fiji is also home to more than 1,200 species of fish ranging from hidden reef dwellers to schooling pelagics and numerous species of shark. A valid passport is required for entry into Fiji that must be valid for 6 months beyond your date of entry into the country. A return or onward ticket is also required. No visa is required for stays under 4 months. Your passport must have at least 1 blank page for entry stamp. Read about Fiji's entry and exit requirements here. Fiji has a departure tax of 200 FJD that should be included in your international ticket. There are no immunizations required to enter Fiji. It is always recommended that you consult the CDC Website or check with your doctor for recommended vaccines. Fijians take pride in being known as the friendliest people in the world. The welcoming and easy-going attitude that permeates their island culture invite visitors to venture beyond resorts and discover a traditional way of life that values relationships, traditions and inclusion. It's not uncommon for Fijians to strike up a conversation with total strangers, and take a genuine interest in those they meet. This spirit of hospitality can be found at Lovo feasts, where foods cooked in open pits are shared in a communal fashion. Fiji's most iconic cultural tradition is the yaqona or kava ceremony. The sharing of this mildly narcotic drink, which is made from the ground root of the kava plant, creates a sense of relation and wellbeing rather than impairment. When visiting a village, it is customary to bring a gift of kava root, and the drinking of a cup is followed by a cry of Bula! 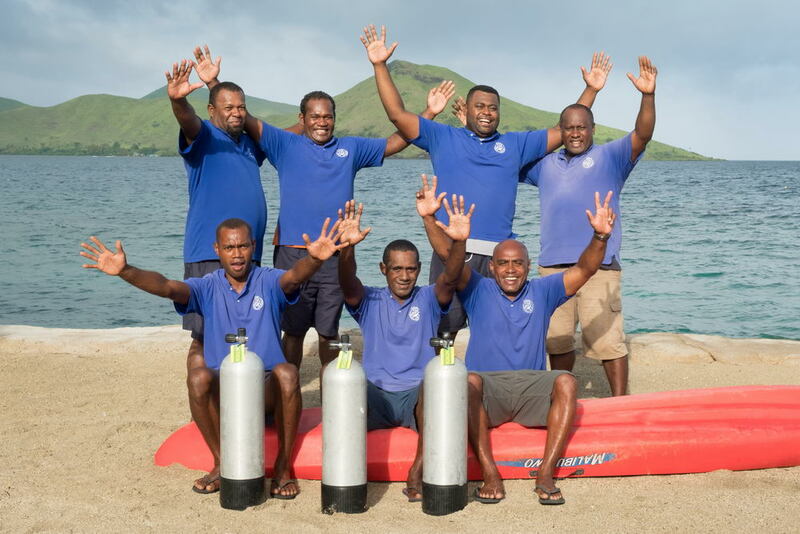 Traditions remain, but Fiji is not stuck in the past, and the well-developed tourism industry offers the expected range of water sports, spa services and land-based activities. There are a number of golf courses on the major islands, and tour companies provide a range of adventures from horseback rides, cycle tours and zip lines to off-road safaris and even whitewater rafting in streams that plunge from mountainous interiors. The electrical current in Fiji is 240 volts AC 50 Hz. Fiji has three flat pin power outlets identical to Australia and New Zealand. Leading hotels and resorts offer universal outlets for 240v or 110v shavers, hair dryers, etc. A converter is recommended with a transformer to convert 240V to 110V. Some hotels offer universal outlets for either voltage appliances or adapters but to be guaranteed no problems it may be best to bring your own adapter. The country code for the Fiji islands is 679. Direct dialing is available to and from Fiji. Check with your cell phone provider for international plans or voice, data and text. Many hotels offer WiFi. Many hotels have purified water. If in doubt, bottled water is available for purchase. Fiji has three official languages: Fijian, English and Hindi (a Fijian form of Hindi spoken by the Indian population which is different than Hindi spoken in India). There are also many Fijian dialects which are spoken by the indigenous Fijians (Bauan is the most common). The currency is the Fijian dollar (FJD). For the current exchange rate click here. Major credit cards are welcomed by hotels, restaurants, shops, rental car agencies, cruises and travel agents. Currency may be exchanged at the airport upon arrival or from ATMs located at banks. Fiji observes Fiji Time (FJD) which is 12 hours ahead of Greenwich Mean Time (+12GMT). Local time in Fiji is 12 hours ahead of Greenwich Mean Time from March 1 to October 31. Fiji does observe Daylight Savings Time which is recognized as Fiji Summer Time (FJST) between November and February at which time it is 13 hours ahead of Greenwich Mean Time (+13 GMT). Although the 180° meridian passes through Taveuni, all of Fiji is west of the international dateline, so it's one day ahead of the United States. Fiji is an island nation in the South Pacific Ocean, east of Vanuatu, west of Tonga and south of Tuvalu. The country occupies an archipelago of about 330 islands, scattered across 200,000 square miles of ocean, of which 100 are permanently inhabited. The two major island, Viti Levu and Vanua Levu, account for approximately 85% of the total population. 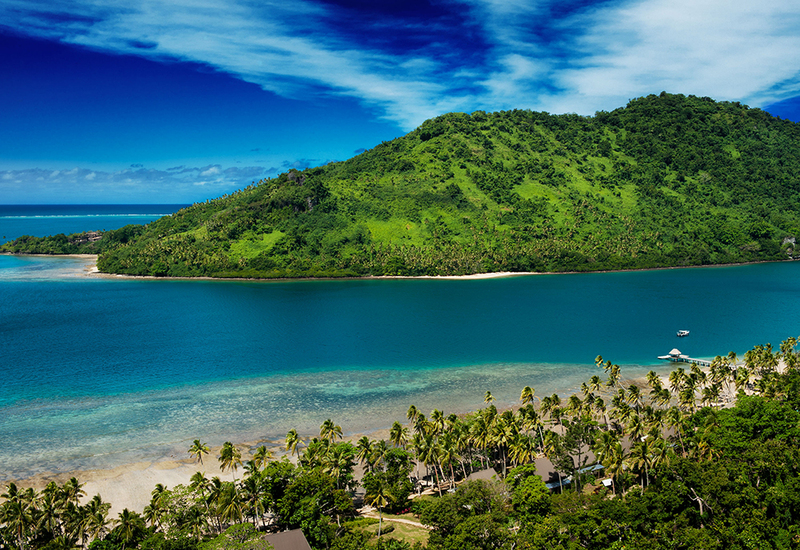 Fiji offers lagoons, rainforests, pine forests, mountains and over 1,000 miles of white sand beaches. Fiji's population is 897,000 (2016).